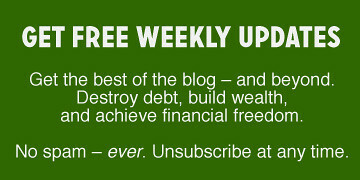 Karawynn writes about personal finance at Pocketmint. Karawynn has been blogging since before “blogging” was a word. There are 64 reader responses to "How to Buy Quality Furniture". I generally find that Pottery Barn is a good place to go for quality pieces. I loved the Captain’s bed I bought there. Very expensive but I think it will last a good 50 years. Evryone knocks IKEA but I think that they do have some good pieces like the BESTA series in the glossy finishes. Nice! And I agree with you re both Ikea and Pottery Barn. That really slowed down the hunt, since the design and wood of the set that didn’t appear were exactly what I wanted and it was the only place I found it. Wow, that’s a serious bummer. DH and I are lovers of Asian design and already had some Chinese rosewood, so we got a rosewood table and chairs at an importer here in L.A. Expensive, but solid wood and well-made. For those who are not looking to spent $2000+ for a dining set, I really recommend antique malls. The other one is in our garage or storage shed — we had given it to our younger sister and she didn’t have room for it when she moved. We have 5 kids, so what we have purchased from IKEA has held up pretty well because we can be a fairly destructive family hahaha. My parents bought a solid wood dining table and chairs 33 years ago at Ikea. I still have it in my kitchen and have no intentions of replacing it anytime soon. It was built to last. We bought a very solid wood dining room table at IKEA last year, and it is wonderful. Most of our furniture is from IKEA. I like them because they have very cheap to slightly expensive. But you usually get what you pay for. Their Billy bookcases are wonderful, and we have 2 dressers that are good quality, as well as our current bed (though we got a different mattress) and purchased 3 beds for different kids in our house. We HAVE gone through 2 of the lower end $250 couches, but we had them both at the same time, and really got rid of one of them only because of the cat that kept peeing on it (gah!). The other one is in our garage or storage shed – we had given it to our younger sister and she didn’t have room for it when she moved. We have 5 kids, so what we have purchased from IKEA has held up pretty well because we can be a fairly destructive family hahaha. Thanks! That apartment was blood, sweat, tears, and many arguments with my husband. My parents still have this ratty old table that they use as a dining table. My dad bought it in 1981 for $20, it was the first piece of furniture he ever bought in the US. They bought another dining table since then but they do not use it much. Sometimes a piece of furniture is about memories as well. I cannot see myself throwing that table out. I would fix it even after it breaks. In my city we have the Unfinished Wood Furniture store. The pieces are built of solid wood and then you can either pay them to stain and seal it or you can purchase as-is and stain it yourself. My DH and I did this with the majority of our furniture. Our kitchen island, dining table and chairs, coffee table, 2 end tables, corner shelf, jelly cabinet, one huge dresser, a smaller dresser and our queen bed frame and a hanging wall shelf. It takes some time and you need well ventilated space, but it was well worth the savings and a good project for us when we were newlyweds. That’s how I acquired my bookcases (the only new furniture I’ve ever purchased). I was able to get the size I needed and stain it myself. Good deal! My husband and I did the same thing 15 years ago. Still have the pieces and they still look great. The real savings comes from finishing the pieces yourself, but as you pointed out, it requires a ventilated space. Finishing a piece yourself is not that difficult — I did a nice job even though it was the first time I ever tried it. And today there are tons of how-to videos that explain the process much better than the how-to books I was using. Amazing, amazing article. Well written and to the point. My wife is an interior designer and every time we go shopping for furniture I always wonder what it is that makes one piece quality and another lacking. Now, these tips can help me keep up with the wife and allow me to be able to point out potential good pieces over all the low quality ones out there. My fiance is a former interior designer and hobby carpenter … makes for interesting furniture shopping! He definitely has helped me understand what can add to the quality of certain pieces though. I’ve had great luck over the years buying furniture at yard sales, moving sales, and thrift stores. I have solid wood (not veneered) pieces in oak, cherry, and maple that I’ve paid a pittance for: a solid cherry antique dresser for $60, a solid oak dresser for $15, etc. I started buying this way when my sons were little since I didn’t want to invest money in furniture that would be abused by children. But all my purchases have withstood nearly 20 years with kids and at most need to be refinished. I know I could also resale them for more than I paid. Be careful with used upholstered furniture–you don’t want to bring any unwanted critters into your house. When looking for furniture, don’t forget to check out garage sales and goodwill… a lot of people ditch old family furniture (“old” can often mean better construction than what we see today). Also, as a blue collar guy, I can say that I generally agree with this post! Good, solid advice. I love Goodwill and rework stores for furniture – but with the recent explosion of bedbugs, I’m very hesitant to buy any used “soft” furniture, i.e. upholstered sofas, couches, chairs, even bedframes, etc. Does anyone have advice on how to make sure you avoid bedbugs? Or maybe that’s just a risk you take buying used? It’s too bad that bedbugs are a fact of life again as they have been in the past. Please be aware that they can also hide in the cracks of solid, unupholtered pieces also. The only surefire way of avoiding them on any furniture, new or used, is to put the furniture in an enclosed space (like a U-Haul or garden shed) and use a bedbug bomb before you bring the piece into your home. There are many YouTube instructional clips that show one how to inspect for bedbugs in hotel room furniture. We used these tips on a recent trip when we stayed in multiple accomodations and they were really useful. Obviously, these methods can be used to inspect new or used furniture before purchase. That was a super useful article! Thanks for putting that together. One more thing about veneers–they are sometimes necessary for finishing a piece, particularly if the wood has a curved/bent look to it (like a sleigh bed). I worked for a while at a well-known national retailer that sells furniture, and one of our best-selling beds was a gorgeous cherry wood sleigh bed. I cannot tell you how many people would sniff “oh, it has veneers.” Yes, yes it does. Because you can’t bend solid wood for that curve! Veneers do not mean bad construction *if* the overall piece is constructed well and they are used as part of the design element. Great article. I’ll add my tips: if you want to save money, check out the knick-and-dent sales/floor model sales at places like Ethan Allen, Restoration Hardware, etc. Also, I was able to save a bundle on my furniture by buying with an employee discount. If you are furnishing several rooms or have your heart set on furniture that is out of your price range, a part-time job gives you a few benefits: you make money (not much!) and you get the discount. 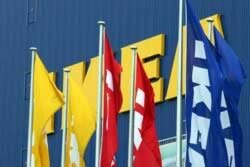 and I’d also add that if you’re from the UK: IKEA is by far the best place for all your DIY furnature! This was a fantastic article, packed with real, practical tips, based on thorough research. I will definitely keep this list in my file as I continue to furnish my home over time. Very well done! Very helpful–and concise. Love the ‘shopping list.’ Thank you. I just spent 2 months researching furniture for my new place. I found that Pottery Barn could be hit or miss, but I did find an awesome desk there that is very solid, called the Bedford. I was also very disappointed with the quality of stuff (and selection) at Raymour and Flanigan. The one place I discovered in all of my research that I really liked was Room & Board. Very modern stuff, mostly all hand made in the US of good material, and the quality seems top notch so far. I second Room and Board! It is wonderful that many of their items are made in the US and you can read about the craftsmen/women on their website. Another, although EXPENSIVE (for me), furniture maker is Thos. Moser. Someday I hope to purchase a rocking chair that my great-great-great-great granddaughter or son will get to use. That furniture is built to last! I also love Room & Board — and am very happy with my purchase. My Grove dresser fits all of the criteria in the above article. Thank you so much- well written, very informative, and I will definately be taking the checklist with me when I go shopping for living room furniture this weekend! Very informative and useful article. Love the checklist at the end. Another great place to find good quallity used furniture pieces is at estate auctions. You may have to be patient until the right piece comes along at the right price but the process is a lot of fun at the same time. I am a furniture maker and I felt compelled to correct a few misconceptions in this article. First, nails are a very traditional, and durable, method of building furniture, and when used right they are actually superior to screws as they allow for seasonal movement to a far greater degree than do screws. Second, if the drawers are properly fit, wood on wood sliding surfaces are one of the hallmarks of finely crafted furniture. Metal drawer guides are meant for utility pieces, like kitchen cabinets, not fine furniture like highboys and bureaus. Third, dust panels are solely meant to seal off one compartment from another, if a piece requires the dust panel for structural integrity it is improperly made. Dust panels are fit into a structure called a web frame and it is this that provides the structure, not the panel. Thank you, though for helping to educate people about purchasing quality furniture, the more people know about this subject, the better quality the market will be able to bear. We had our captain’s bed custom-built by a local woodworker, and it ended up costing about the same as we would have paid at a furniture store for 2 bureaus and 1 platform bed. (About $1800.) We could not find any used captain’s beds, and our bedroom does not have space for bureaus. 1. Sturdy construction, to last a lifetime. 2. Good materials; we were able to choose the type of wood, and the design. We saved on costs by choosing furniture-grade plywood in places that don’t show or get much wear and tear. Solid wood on the drawer fronts and moldings. No particle board! The drawers roll smoothly, and use the entire space under the platform, giving plenty of storage space. 3. We ordered it unfinished, which also lowered the cost. It did take quite a bit of time and effort, and about $30. in supplies, to apply the finish. 4. It gave work to a local artisan. It was satisfying to deal locally, and we received a beautiful piece of furniture which we use every day. I really like Room & Board. I furnished my whole living space with items from them and while it was expensive it 1) looks brand new 6 years later 2) is made of high quality materials and will last forever 3) is of classic style and will stand the test of time 4) stood behind by Room & Board. I like to buy quality items that will last a long time. I know people that move every year and throw away and buy new furniture from Ikea every time. Ikea really supplies what I like to call disposable furniture. Not only is this bad for the environment it is bad for your wallet. Does anyone know anything about The Amish Furniture Gallery? Is the furniture really handmade by Amish? There is an ad in the Denver Post today that some of the Amish that make the furniture will be in the stores this weekend. I don’t know whether or not to believe it. Wow, that’s a useful post. Thanks. Great post! I’m so used to buying most of my furniture used and thankfully I’ve scored some great pieces over the years, but I know I’m going to want to buy new at a certain point. This would be a great guide for me. Bedbugs! Watch out for bedbugs in used furniture, especially the upholstered things. It can cost thousands to get rid of them if you get an infestation. Great blog post. I’m currently working on furnishing my new home and loved these tips. This is a great guide. Especially since I buy all of my furniture from Ikea right now :) I’m still living the college budget lifestyle. Latisha, I don’t mean to pick on you personally. But it always makes me giggle a bit when I hear Ikea referred to as “college budget furniture.” Because in college, and just out of college, I aspired to afford Ikea furniture! All of our furniture came off the curb, out of the dumpster (perfectly good, whole wooden chairs that just needed to be wiped down), or from thrift stores and yard sales for $10-20. It’s only now that we’re reaching age 30 that any of my friends can afford to spend $250 on a couch from Ikea! I don’t think we’ll ever have enough money that nice, “real” furniture will be within our means. Also look for local knock-off stores. In LA, we have this awesome store called Larry St. John’s. It’s locally owned and everything is locally manufactured, so the quality is great and the prices are reasonable even brand new. The styles are generally Pottery Barn and Restoration Hardware knock-offs, but you can choose more sizes, more coverings, etc. for 1/4 of the PB or RH price. I got three couches for around $2500! I could get one couch for that at one of the chain stores. Great post. Very practical, useful information laid out concisely. When I buy Ikea, I buy it secondhand. I don’t see the point in paying new prices for really cheap furniture, and craigslist is always full of Ikea items. Real wood furniture is coming back. I think the public has learned that sometimes you have to pay a little more to get good quality. It will last longer and be worth the extra expense. Some very good points about buying furniture. I’m a woodworking hobbyist, and I also love to browse furniture stores. I usually buy used through consignment stores. Dovetail joints are sometimes good quality, but they can be poorly done. 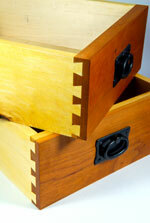 Dovetails in anything but solid wood are poor construction. Rabbett joints and dado joints can also be very strong if done right, and are better joints for plywood. Furniture makers also will sometimes put a nice dovetail on the front of the drawer, but the back of the drawer is a poorly done joint. I always find the poorest construction on the back of the furniture. I’m not impressed with P.B. at all. It’s a very high price for a very poor product,IMHO. Most chain store furniture is. EA is good quality. Also be aware that furniture makers are getting better at hiding poor materials and workmanship. I’ve seen furniture with painted on joints and particleboard that has been covered with a thin veneer of wood on all exposed edges. If you really want to get some great furniture inexpensively, network with older friends and relatives. Get the word out to them that you are looking for furniture. They might know an elderly person who is downsizing and can let some furniture go in exchange for some chores. It’s a win-win situation. What should everyone know about leather furniture? My housemate bought a leather sofa, after a long-lasting upholstered one was ruined by a naughty dog. Leather seems easier to clean – just wipe any spills. But how is for long lifespan? Any costly maintenance or repairs to watch out for? There are different grades of leather. The better the grade, the thicker the leather, making it more durable (and more expensive). I bought a leather couch floor sample with Grade 4 leather (Grade 5 being the highest). We’ve had it since 1997 and it still looks great in spite of a Cocker Spaniel who would get on it sometimes when we weren’t home and attempt to scratch a nest in it. The only maintenance I do is to dust it regularly and rub it down with a leather conditioner from time to time. I would like to put a word in for buying American-made furniture. I grew up in High Point, N.C. and always bought from the major lines of the local manufacturers there – Lexington and Thomasville among others. The furniture industry has been severely impacted by the recession and competition from abroad, but in my experience the foriegn-made stuff doesn’t hold up as well as the American, plus the few remaining furniture plants here continue to provide crucial jobs for families and entire communities. I live in NC and have purchased most of my furniture from the Hickory Furniture Mart, in Hickory, NC. It’s a giant furniture outlet with floor upon floor of showrooms that sell both first quality and scratch and dent. Twice a year they have the “aftermarket” sales. there is a similar mall in High Point as well. well worth the trip if you can make it here. I do recommend bringing a u-haul if you plan to purchase. Simple, non-upholstered pieces have sometimes worked pretty well for us. The desk I’m at right now, for example, is a simple Ikea birch top with metal legs and it’s been great for oh, maybe eight years? and still going strong. I’ve found that the thin laminate backs of Billy bookcases tend to warp and detach over a period of years, but the wood sides and shelves hold up well. The couches, however — we’ve had two — have been a disaster; they don’t hold up under normal use. And if you turn them over and look at the construction, you can see why — low-quality wood, poor joints, no reinforcements, etc. With a basic knowledge of furniture construction, though, I’ve found I can better evaluate each piece’s value, at IKEA or anywhere. I am not sure how useful this article was, considering that the professional furniture maker (comment #20) contradicted the few things that weren’t just common sense. I am also not sure why she said early in the article that she was looking for higher quality USED furniture in the beginning when the tips she gave are obviously for any furniture you might want to buy (including many of the IKEA lines, which are very well built). The nice thing about buying used furniture as opposed to new is that someone else already beat it up & broke it in, so if it’s crap, then it will probably already look like it. If you find something at Goodwill (meaning the previous owner donated it) or at a yardsale (where things are usually listed at 10% of their original retail cost) and it looks amazing, it probably is, I would think. Totally disagree. Most people don’t have the first clue what goes into making furniture, period, so I would not call the information in the article “common sense”. And even though Nathan pointed out some errors, he applauded Karawynn’s effort to educate folks. So I believe that even the man who is a furniture maker thought it was a useful article. As some people have mentioned 2nd hand furniture is typically the best deal. If a piece is made well, then you can always paint or refinish it. I used to buy all new furniture, but new furniture is so expensive, even for the pressed board garbage. I now try to get all furniture for free or pay very little for it. Most of the furniture in the house we have gotten for free. We did pay $60 for a dining table in the last year, but that was a super deal. 6 chairs and a table with 3 leafs. The top was marked up/burned, but that is what tablecloths are for. I am the same way for clothes too. Either free or really cheap. With so much excess in our society, why pay for something you can get for free or really cheap? This article is terrific. Just the facts, no fluff, excellent info, and explanations to back up recommendations (for the most part). AWESOME bulleted summary at the end. This writer is a winner. You are wrong on several accounts: Dust panels, while very nice, do NOT add any strength to a piece of furniture as it “floats” within a webframe and just sits there. Next, the highest quality drawers are wood-on-wood construction without any glides at all. Only the fit of the drawer, which is hard to do, keeps the drawer from racking or falling through. I am not a fan of plywood, I prefer solid wood even for drawer bottoms and backs. I make all of my own furniture in my garage. Great tips on what to look for when buying different types of furniture. Good article! Very nice and informative article. Thanks for sharing such articles. Keep writing. Nice info! Before buying furniture, we should know how to find the best match for our needs. Every piece of furniture has certain elements or features that determine whether or not it is a good fit. Thanks! You stated some good points in this write-up. But as soon as I saw the comments, I read the article again. Perhaps, checking the reviews for various furniture brands may get you through to buying a quality one. Hope that helps. Hence, to ensure you get good value for your investment, it is wise to assign the interior designing task to the experts in the field. box cutter and utility knife to open supplies or to deal with lightweight objects, plus a handsaw for working with wood and tougher fabrics like carpet. As a furniture maker, I found this article a good read for those who are looking for quality beyond pressboard and wood graied contact paper. when you talk about antique pieces, they were more often than not, built by a hardworking skilled craftsman. The quality of materials, joinery, and finish in these pieces are what make them quality. Today, the only way to acquire this type of quality is by purchasing from a local craftsman, whether it be a cabinet shop, or a one or two person woodworking shop. I have seen many top quality pieces made by hobbyist woodworkers in their garage. It’s the knowledge, experience, and love of the craft that embeds quality into furniture. As far as plywood, it is a very good material for furniture if used properly, and as the writer stated, it is quality plywood, if it has 5 to 9 plys, depending on the thickness. Quality plywood contains better quality veneers and adhesives and do not have knots, voids, or buttons. The only reason antique pieces are not made with plywood is because the technolgy to manufacture plywood had not been devised at the time. As far as veneers, veneer dates back to 2000 B.C. Veneer was prized through the Egyptian, Greek and Roman eras. Some of the most elegant, finely crafted veneer pieces are shown in famous museums and galleries. Some of the most beautiful exotic woods are only available in veneer form, as it is illegal to harvest these trees into lumber. Veneer protects and preserves valuable forests and yields more wood than actual lumber. A 10′ long 2″ x 12″ plank yields 600 sq ft of veneer. Beware that not all Amish furniture is quality furniture. Much of it is, but nowadays many Amish craftsmen are relying on their forefathers reputation of fine furniture makers and are using shoddy techniques. Hubbingtons Furniture, in Barrington, NH just opened a new store on Rt. 1 in North Hampton, NH. Everything they sell is made in America and is very high quality. They sell a lot of the Amish made furniture out of Ohio and Indiana, but also sell Harden, Hallagan, and Smith Brothers. If you’re looking for high quality American made furniture, you might want to check out their website. As I’ve been looking in other stores, one thing I noticed is that many companies said, “Made in America” and in small print it said “Parts of this furniture may be imported.” Hubbingtons prides themselves on being all American made.